Background: I was born and lived most of my life in Eastern Europe, a small country called Moldova (borders Romania and Ukraine). I speak Romanian and Russian fluently (but am forgetting both languages quick). I moved to USA with my mom in 2003. When did your love for makeup start? My love for the makeup started when I was pretty young – 12 years of age. I think the first time I fell in love with makeup, is when I saw all of the ballroom dancers wear it at competitions to accentuate their beauty. I used to compete in ballroom dancing for a few brief years from 12-15. In addition, my first job ever, I was working for Oriflame – a cosmetics company similar to Avon, very popular in Europe. What made you open up your own shop? I don’t have a retail shop yet, however, maybe in the near future, if it makes sense to open one, we will. Currently we are available to our customers through our online store at www.olgasorganics.com and also various retailers where our folks can find us. Why was it important to you to be USDA certified? I wanted to start out on the right track with my customers from the get go, without cutting corners. I knew that USDA Organic certification was something that people respected and wanted in their beauty routine, considering nothing was available in the marketplace. Is Olga’s Organics your full time job? Are you a one-woman team? involved in any and all design decisions. In addition, I work thoroughly with my graphic designer Val, she helps us with all the design needs. I also rely on some friends that help me with labeling and filling the jars with product for bigger orders I cannot do entirely on my own. Otherwise, everything else like: product creation, product development, social media, marketing, partnerships, emails, bookkeeping, USDA Certification/Inspections, etc. is on me. What was the first product you made? Is it one that’s available in your shop? We launched the company with our USDA Organic Loose Face Powder – now named by some as a “cult favorite” ☺ Our powder is the 1st USDA Organic Powder in the USA, and we feel proud of that accomplishment. What do you wish you knew before starting this venture? I wish I knew that starting anything from scratch is way harder than anticipated. And that there are not very many manufacturers out there that are set up to help small business, and you are basically are on your own. That is where creativity and good negotiating skills come into play. For example, when we were in search for jars for our Face Powders, we could not find a single manufacturer that would create custom jars for us that were under the 5,000 unit quantity. Some manufacturers requested a minimum of 10,000 and 25,000 which is simply extremely expensive and out of reach for a small business starting out. How have you changed as a person since opening up your own business? I now realize how much hard work goes behind each product that is presented on the store shelves. We as consumers don’t even realize all the work that it entails. So now I look at everything from this new fresh perspective and appreciate products a lot more. In addition, I have shifted to less consumerism and everything I purchase I love and use, rather than use once and never again. I used to do that with a lot of clothing items, I definitely no longer to that anymore. Every time I purchase something I try to think of the value it’s adding to my life, and if it’s not much, then I don’t buy said item. I am shifting into living a more minimalist life, despite the fact that I emotionally attached to some items. Becoming a mom and learning about all the chemicals found in the placenta, and how children can be exposed to that through their moms, has definitely put things into a new perspective for me. However, my light bulb moment occurred to me about 6 years ago during a conversation with my husband (Brian) regarding cancer, and how much more prevalent it has become over the last few decades. FYI, Brian’s line of work is in Cancer Treatment through Radiation, so he is very familiar with this topic. At that time, 6 years ago, we were discussing a study I read that showed that carcinogens (ingredients found in conventional makeup and body care) were found in the tissue of the breast cancer patients, and that connected all the dots for me. The ingredient in that case was Aluminum, found in the majority of conventional Deodorants. At that moment I realized that what we are putting on our skin is very important, since up to 70% of everything gets absorbed into our internal system and could potentially harm our health. So, with that in mind, I wanted to create something that was plant based and USDA Organic Certified whenever possible! How long does it take to create a new color/scent or product? It varies based on the product type. Some require more testing than others. And if the product is USDA Organic Certified, I have to add it to my certificate, which entails a review of the product by my certifying agency (Oregon Tilth). They require a variety of different things about the new product, including the label and box design. After that they review and approve the product, and then I am able to sell said product to my customers. So, it definitely takes much longer to release a new USDA Organic product than one that is not USDA Certified. What are some of your favorite products you’ve created? A few of my go-to/cannot-live-without products are definitely my USDA Organic Face Powder as well as the Lip Tint, Body Butter and Body Scrubs. I use these products the most. Favorite powder shade for my skin tone is Translucent and Light, and favorite shades of Lip Tint are Nydia, Iris, Rylea, Sedona in that order. I adore all the scents of the Organic Body Butter and Body Scrubs, but if I had to pick the ones I gravitate towards the most are: Grapefruit Lavender, Orange Dream, and Rosemary, and Chai for the scrub. What is your vision for your brands future? I would love to partner with big retailers like Target, Sephora and Ulta, and become easily available to a bigger customer base. It is in my vision that Olga’s Organics becomes a household name, and a go to brand that offers the safest/good-for-you makeup and body care on the marketplace. Do you have any plans to expand beyond what you already sell? Yes, I am working on releasing a USDA Organic Makeup Remover and Perfume. I am hopeful I can release these items in the Fall, we shall see (everything always takes longer than anticipated). I also would love to create a Liquid Foundation and Mascara that I absolutely love and want to share with my customers, this may take longer to release, hopefully next year. If you could collab with one brand and/or influencer, who would it be and why? I would love to collab with influencer Amanda with Organic Bunny Instagram @organicbunny. I feel like she is great at selecting wonderful green beauty brands, and I would love us to become a partnering brand with her. As far as brands, I would love to work with Birchbox, Petit Vour, Art of Organics, Fab Fit Fun subscription boxes, to expand our reach further to new audiences. What’s the hardest part of being a brand owner? I would say the hardest part is juggling being a mom and being a brand owner. There are priorities in both roles at all times, so finding the balance to do both can be challenging at times. This is where you have to allow yourself to take a step back, and fully enjoy the moments as a mom, and let go of mom duties and focus on the company as well. What’s one thing you want people to know about you or your brand? We are here to Reinvent Your Beauty Routine! At Olga’s Organics we believe in the power of plants. We offer plant based organic ingredients at the core of ALL of our products. 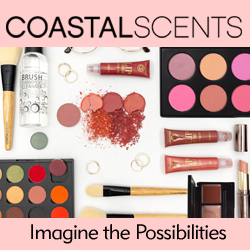 Join us on this journey to reinvent the makeup industry! With Olga’s Organics Loose Face Powder, you know what is in your makeup. It includes the finest organic ingredients in the USA. The “heavenly smell”, and smooth and even application is what sets Olga’s Organics Loose Face Powder apart. Add to your cart now and start experiencing the true powers of our USDA Organic Certified small batch Loose Face Powder. We are also proud to let you know that our powder is the 1st USDA Organic Certified powder in the USA. There are three shades available: Translucent, Light and Medium. I picked up Light. It’s a pretty sheer tint of color, and when worn alone is almost translucent. I find that over my foundation it does seem to darken it a bit, which I haven’t been minding. I have several foundations that are too cool toned for me, and this warms them up to be my perfect color. I don’t think this one is suitable for super light skin tones, but it works well for me. The formula is a bit gritty when you first apply it. I assume this is from the different spices in it. However, it blends out smoothly and a little goes a long way. I find it’s best for me to apply it lightly with a fluffy brush if over foundation, and with a flat top kabuki when worn alone or over concealer. It doesn’t give much coverage, but it does blur what I want it to blur and can be built up a bit without looking cakey. I was worried how it would sit on my dry patches, but it doesn’t emphasize them at all! I will also say, my breakouts do seem less noticeable in the evening when I take it off, so I definitely think it helps with inflammation. The smell is very strong, and I definitely get the cinnamon and nutmeg notes. This doesn’t particularly bother me, but just make a note if you’re super sensitive to scents. It does linger for a bit but I stop noticing it. Overall, I am so happy with this powder. It is definitely on the pricier side, especially being an indie brand, but the ingredients are some of the best I’ve ever seen in a face powder and I feel 100% confident and comfortable putting it on my sensitive skin. I would love to try out the Translucent as well. I highly recommend if you’re in the market for a new powder, love organic products, and want to spend a bit more on skin-loving ingredients! I picked up the shade Rose. There are currently six shades available. Rose seems to be one of the darkest and most pigmented. I LOVE this formula! It’s a slippery type of balm feeling which I love. It is lightly tinted, but the color can be built up to be a nice darker nudey red color. It’s super comfortable and I usually don’t like the tingle of peppermint, but it works so well with this formula. The color does slide around a bit since it is so oily and the tube becomes a mess, which are my only complaints but since it’s sheer it’s not much of an issue unless I put too much on. It’s not the longest wearing of course, but it’s expected with a balm. I would definitely pick up more of these. I’m not personally interested in some of the lighter, shimmery colors and I hope she expands the line! If you have dry lips but still need a bit of color, grab one of these! I can’t say a whole lot about this since I only had a small sample, but it smells so good and I love the feeling of it. I’ve been putting it on an eczema patch to help with the itching and redness and it hasn’t been causing any extra irritation as it heals. These are pricey creams but I’d definitely pick one up in the future to try, especially if it does help my eczema clear up quicker.